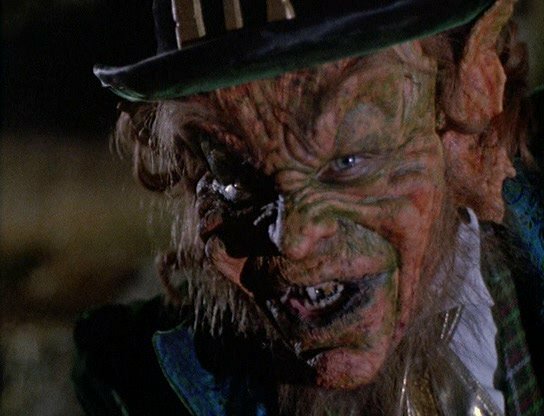 John’s Horror Corner: Leprechaun (1993), the wonderful 90s badness that only an evil Warwick Davis can provide. MY CALL: Let’s be clear. This comical horror movie is haphazardly stupid. But it’s the kind of stupid that’s sort of awesome…if you’re into that kind of thing. And, by the way, this was Jennifer Aniston’s first lead role in a theatrical release movie! 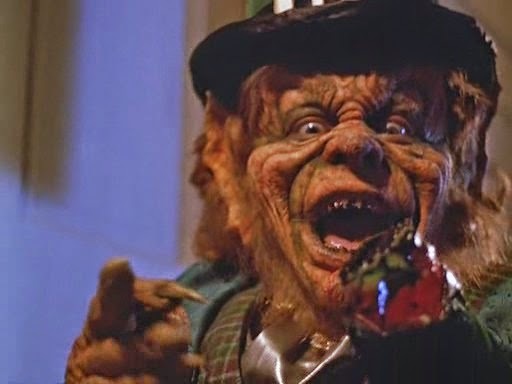 MORE MOVIES LIKE Leprechaun: There are loads of sequels taking Warwick Davis from “da hood” to outer space. 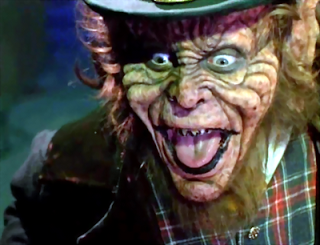 But whatever you do, don’t watch Leprechaun: Origins (2014)–terrible even for a direct-to-DVD B-movie. I felt exactly like this after watching the 2014 reboot. Having recently suffered through the seemingly completely unrelated and failed reboot Leprechaun: Origins (2014), I felt the need to go back and revisit this old clutch favorite. 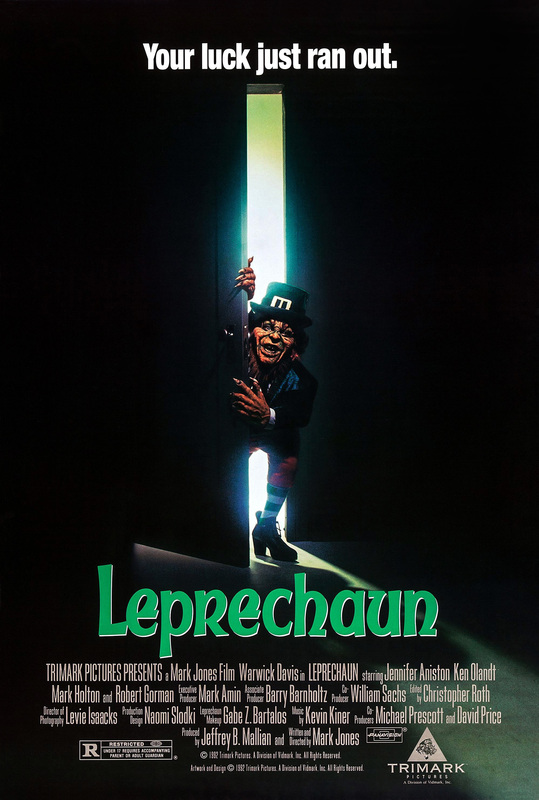 This classic bad horror movie opens with such a pleasantly bad 90s feel as, in the very first scene mind you, we meet our Leprechaun (Warwick Davis; Willow, the Harry Potter series) coveting his pot of gold and gleefully chanting murderous limericks about those who would steal from him, all the while wearing the classic Leprechaun trappings of gold-buckled shoes and a hatted green suit. Like an R-rated children’s show, he narrates his malevolent intentions and giggles and scurries around, often toying with his victims. Cut to more comical 90s badness, an Irishman polishes off an entire bottle of Irish whiskey before drunkenly brandishing some stolen gold before his doubtful wife. Can anyone guess who the Leprechaun’s first victims will be??? The bad-o-meter starts reading pretty high when the drunkard brandishes a four-leaf clover to rebuke the mythological creature much as an old priest and a young priest would to ward off the demon Pazuzu. 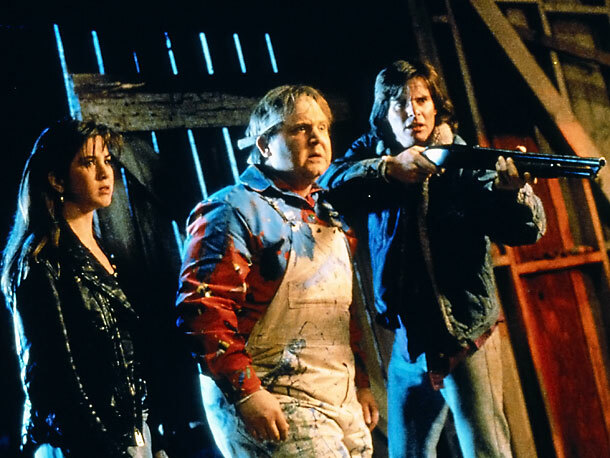 All this fun, bad, awesomeness transpires in the first 10 minutes, so right off the bat I’m going to recommend this to anyone who enjoys some bad 80s or 90s horror. But on with the review! Our cliché Valley girl Tory (Jennifer Aniston; Horrible Bosses) is reluctantly visiting her father (John Sanderford; Firestarter, The Alchemist) for the summer at his South Dakota home where the drunk Irishman had imprisoned the Leprechaun years ago in the basement. Helping to renovate the house is a simple-minded manchild (Mark Holton; Teen Wolf) with a penchant for telling unbelievable tall tales. So naturally, when he sees the evil leprechaun no one believes him. The acting and writing aren’t good, but they aren’t unforgivably awful either. In fact, I find the lines to be quite entertaining most of the time. But what really makes this movie work is the over-the-top performance of Warwick Davis as the monster of folklore. He maniacally laughs and does ridiculous things like death by pogo-stick, speeding in a kid’s Powerwheels car, and compulsively shining dirty shoes. Adding to the haphazard badness is that he can magically teleport, but he never seems to use it in useful ways. Instead he chases people, regular-sized people, and somehow keeps up with them with those stumpy little legs. 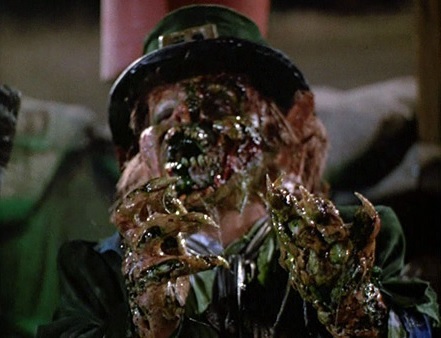 The special effects are just okay in general, but the finale when they defeat the Leprechaun is deliciously slimy, gooey fun. 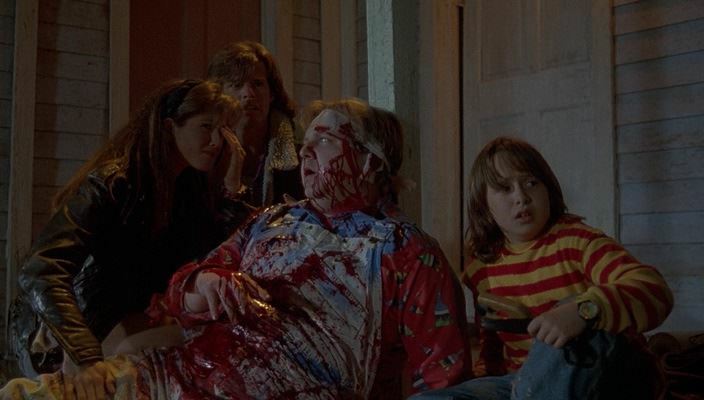 There’s not a moment of scary in this movie, but giggles galore. This toes the line of a horror comedy. They just don’t make’em like this any more, do they? Let’s be clear. This movie is stupid. But it’s the kind of stupid that’s awesome…if you’re into that kind of thing. And, by the way, this was Jennifer Aniston’s first lead role in a theatrical release movie! So watch it! Then watch a couple sequels! ← John’s Horror Corner: Hellraiser VI: Hellseeker (2002), a decent direct-to-DVD horror film and an “okay” Hellraiser film.